This bust was sculpted by American artist John Massey-Rhind. According to the article, it is of Colossal size at three feet six inches and has a bronze base to be used for the inscription. The marble pedestal is five feet high. The cost of the bust was $5000, which was paid by the National McKinley Birthplace Memorial​ Association funds, as David Todd was the only other person from this area (besides McKinley) to become governor of Ohio. In 1916, this bust was in the Grand Army of the Republic room in the library wing. During the 1960s, the Grand Army of the Republic Room was converted into an office, and all “relics” and busts were moved. 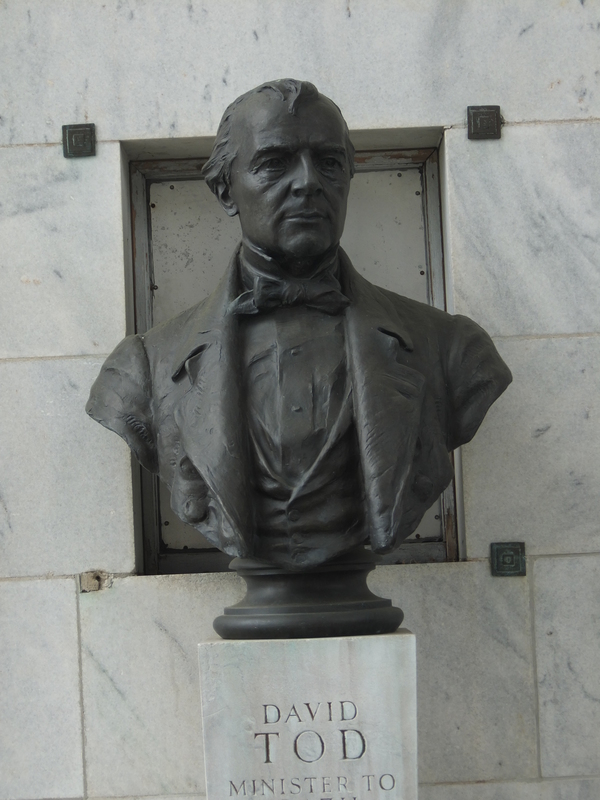 David Todd’s bust is now in the central Court of Honor, on the left corner (closest to Main Street).